One of the 300 Innovation Projects for the session of 2015-2016 approved by the University of Delhi is ‘A Socio-Economic Study of the Condition of the Elderly In the Old-Age Homes of Delhi’. The study aims to undertake an examination of the facilities provided to the elderly residing in old age homes and seeks to conduct an assessment of their well-being. Student Members: Priyanka Tiwari, Ayushi Jain, Chanchal Aggarwal, Harshika Sondhi, Banni Chug, Chhaya Gandhi, Cheshta Wadhwa, Anshul Jain, Avisha Alawadhi and Jaidita Seth. With its findings, the study will contribute towards sensitization of people towards this much neglected and discarded section of the society. This research will be relevant at all times as one cannot eliminate old age from a person’s life; one needs to understand and appreciate all phases of human life. 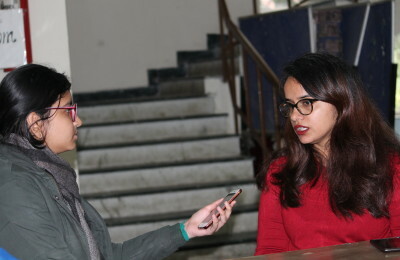 According to Priyanka Tiwari, a student involved in the project, “Our innovative project will help sensitize people to the issue and bring about new alternatives to the problem.” Therefore, the project aims at revisiting, researching and re-creating aspects of traditional Indian society. The age-old joint family system has been instrumental in safeguarding the social and economic security of elderly people in the country. With rapid changes in the social scenario, India currently sees an increase in nuclear family set-ups. The elderly are likely to be exposed to emotional, physical and financial insecurity in the years to come. Keeping in mind the growing numbers of the elderly and the increasing levels of urbanization and modernization, it is imperative to understand the needs of the elderly and to assess if institutionalization of care services for the aged may act as a reasonable substitute for the support to be provided to them in future. Moreover, research on this subject is likely to suggest a way forward for the government to plan and implement policies regarding the elderly and to sensitize the youth (through visits, documentaries and seminars) about the condition of the elderly in old age homes.